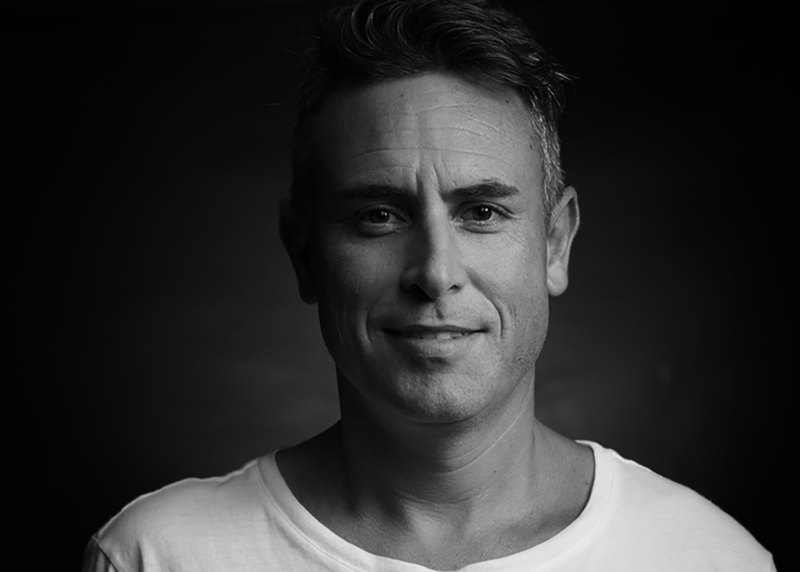 This week, at AdFest 2019 in Thailand, The Brand Agency Perth’s ECD Marcus Tesoriero will warn creatives against isolating themselves as specialists in only scriptwriting, art direction, copy or design. What inspired the topic of your session at AdFest 2019 ‘The New Era of Creative Problem Solving’? It’s funny actually, I feel one of the biggest problems our industry currently has is its name – advertising. To many of our clients, that’s all they think we do. In reality, ads are no longer the silver bullet for every brief a client gives us. So, we need to show that we can offer them so much more. We live in an age of ad blockers and hectic forms of advertising hitting us wherever we go. People don’t want to see our brand messages in the same old formats. Today we need to earn people’s attention by becoming part of their lives – rather than simply demanding they become part of ours. Over the past year I’ve been helping build a tight-knit, collaborative environment, not only within our agency, but with our clients as well. No creative team can take on the new era of creative problem solving by themselves. It takes the commitment of everyone. And hopefully the people of AdFest can take something away from this, too. If our industry needs to evolve from ad makers into problem solvers, what sort of skills will creatives need to acquire? Our industry has been evolving constantly since I joined it many years ago. Traditional, experiential, digital, data-driven – who are we now? The fact is, we are a bit of everything – and more. Breaking it down simply, today we are problem solvers, solving client issues and opportunities in whatever creative form that may be. I feel the number one skill creatives will need to acquire moving forward is collaboration. Solving problems for brands in ways that have never been produced before takes the commitment of the whole agency, clients and a wider network of suppliers you may have never even met. Effectively utilising connections and resources is essential in building big, problem-solving ideas. For me, future creatives shouldn’t isolate themselves as specialists in only scriptwriting, art direction, copy or design. Instead, the great ones are becoming overall mechanics of creativity – inventors, scientists, film makers, product designers and more. Sure, they champion a sole craft like copywriting, but they have a thirst to learn more about the synchrony of all creativity and what makes people tick. How do you use data to your advantage? When does data become dangerous? To many creatives, data is a dirty word. But it doesn’t mean our ideas are becoming zeros and ones. It just means we can mine information from the masses to direct our creativity more effectively. For me, data is best used at the beginning of a project to analyse information and guide a precise strategy for a creative brief. It’s also best used at the end of the project to define an accurate media strategy, ensuring people are targeted at the right place and right time. To be truly effective though, it’s not just about personalisation. It’s using data to ensure a targeted person is going to be most receptive to the creative idea you’ve crafted specifically for that place and moment. The only danger I see from using data is if our consumers decide to stop giving it up. But I believe the world’s addiction to social media and search is too strong to forfeit it. It’s an interesting trade-off, really. As quoted from a reporter after the Facebook Senate hearing, “If you’re not paying for it then you’re the product being sold”. You moved from Sydney to join The Brand Agency in Perth in 2018. What inspired you to make the move, and what can you tell us about life at The Brand Agency? Western Australia borders almost half the land mass of our entire country and yet it’s virtually invisible to the world when it comes to our industry. When I was offered the Executive Creative Director position at The Brand Agency, I saw it as a real opportunity to help showcase more of Perth’s creativity to the world. The Brand Agency is the largest integrated agency in Perth, with over 100 intelligent people in their different fields. Over the last year we’ve been working towards a more collaborative environment within the agency and with our clients, while building what I now believe is one of the best creative and design teams in the country. The agency is really working together well now and producing great work to back it up. I also find the clients over here have quite an entrepreneurial spirit which is constructive for selling in big ideas. There are fewer destructive egos too, which makes it easier to talk on an even level with everyone. On top of that, Perth is one of the most beautiful places in the world. The white sand beaches run for miles and miles along an unpolluted coastline of crystal-clear blue water, all accompanied by what feels like 300 days of summer. Who could argue with that? How has your approach to creative problem solving evolved since your earliest days as a junior? My first agency was heavily TV-based which meant writing script after script – sometimes producing up to 30 TV ads per year, which was a great launch into storytelling. As digital worked its way into the world, I saw a new beginning of communication and an invitation for brands to start becoming part of people’s lives – to live stories, rather than just telling them. Excited by this, I went on to work at a string of agencies that were digital, mobile and data centric, widening my knowledge on all facets of communication. So, coming back to big, integrated agencies such as DDB, McCann, and now The Brand Agency, I have a clear vision that in today’s world, we need all that expertise and more to solve our clients’ problems. Now that the Mad Men days are over, what do you look for when you’re hiring junior creatives? Now that the Mad Men days are over, there are thankfully less alcoholics and more women applying for jobs. But most of all, when looking to hire young creatives I look for ambition. It takes hard work to be great. Fortunately, I now have a team with the tenacity to get there. Tesoriero will deliver ‘The New Era of Creative Problem Solving’ this Friday, March 22 at AdFest 2019 in Pattaya, Thailand.